We are now off the 302 redirects fighting and now onto fighting about how Google handles subdirectories vs subdomains. In short, part of the SEO snippets Google video series, one of the videos released a month ago was named "Subdomain or subfolder, which is better for SEO?" Google's John Mueller basically said do what is best for your business and server set up and then explained how Google treats them - saying both are fine, both rank. Again, the video is from a month ago. Today's question is an evergreen one. Deepak from India asks us subdomain or subfolder, which one is the most beneficial for SEO. Google web search is fine with using either subdomains or subdirectories. Making changes to sites URL structure tends to take a bit of time to settle down and search so I recommend picking a set up that you can keep for longer. Some servers make it easier to set up different parts of a website as subdirectories, that's fine for us. This helps us with crawling since we understand that everything's on the same server and can crawl it in a similar way. Sometimes this also makes it easier for users to recognize that these sections are all a part of the same bigger website. On other servers using sub directories for different sections like a blog and a shop can be trickier and it's easier to put them on separate subdomains. That also works for us. You'll need to verify subdomains separately in Search Console, make any changes to settings and track overall performance per subdomain. We do have to learn how to crawl them separately but for the most part that's just a formality for the first few days. So in short use what works best for your setup and think about your longer-term plans when picking one or the other. What reason could Google possibly have to be misleading here? "We're running low on subdirectory-servers"? I knew this would trigger some folks, so I spent time to prod folks internally about the reality, and there's nothing to hide here. 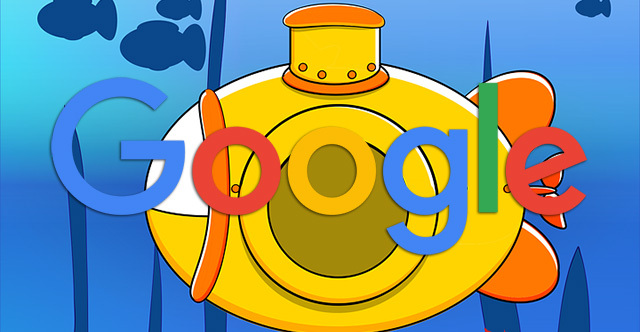 It’s a brand new video from @JohnMu & @googlewmc expressly designed to clear things up. You want the official take? That’s it. C'mon man. All respect but a year ago, you would have said "well, that's not clear at all, nor does it even address the real question." As best I can tell, you seem to think the "core" of the answer should be which ranks you best -- and you believe subfolders. Maybe in some cases; maybe not in others. And a lot depends on what makes sense for your own site and your own users. And the point I keep repeatedly trying to make is that all things are NOT equal. And I totally get that line of thinking, because I've asked it myself when I was on the other side. Seeing things 360, yeah, all things are not equal. I don't want to discount anyone's experiences, there are good reasons to go either way, you just shouldn't blindly pick one in hope of magic SEO dust. Y'all are great SEOs, I don't need to tell you, a hammer is great but sometimes a screwdriver is better. Both a subdomain & a subdirectory approach can rank equally, but they are separate as subdomains, and require more effort to maintain and promote, and can be more easily transferred separately. Honestly I disagree Rand. It really just depends on an array of different factors. I think @jonhmu's answer makes sense. The debate goes on and on, I cannot list them all here. Don't you just love this industry?